Every year, my family and I go to the Minneapolis Monarch Festival, a wonderful celebration of the connection between Minnesota and Mexico - the starting and ending points of the monarchs' yearly journey. 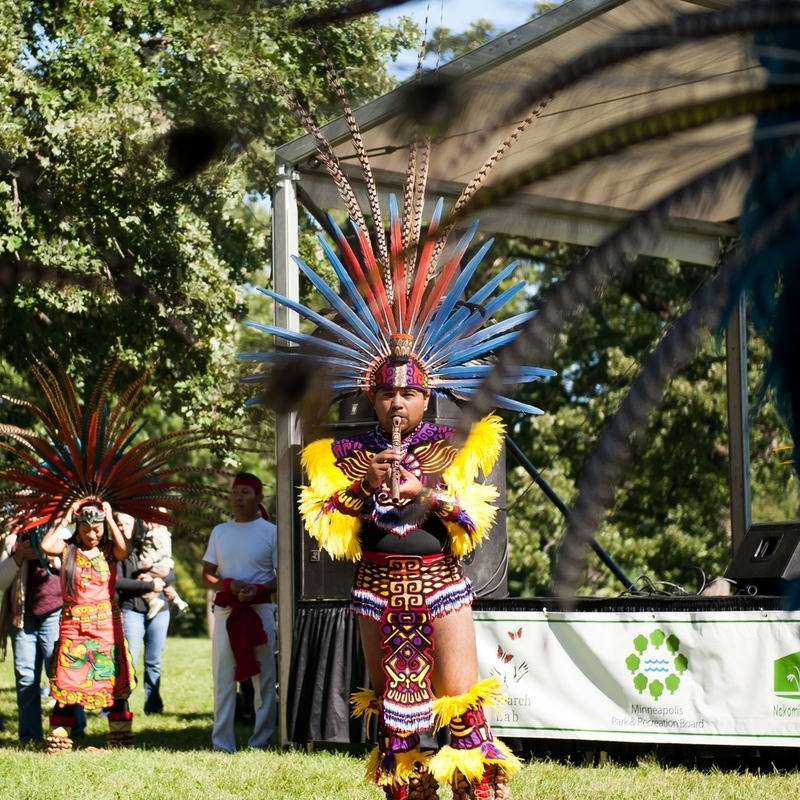 And, yes, the butterflies are beautiful and the food tasty and the environmental conservation efforts valiant, but the real draw for me is always the Aztec dancers. This year, a new troupe had their festival debut and the result was no different than in past years: I was moved to tears. I'm not saying I got a little misty; I had to straight up stifle sobs. I have no idea why, year after year, I have such a powerful visceral reaction to this particular indigenous dance, but I do. And it's rather intoxicating.